Enter your email address below to receive a notification when Indigo Beaux starts accepting new sign-ups! Enter your email address below to receive a notification when Indigo Beaux is accepting new sign-ups again. Your box will ship on the 22nd of every month. Please order by the the 18th to get December's box! 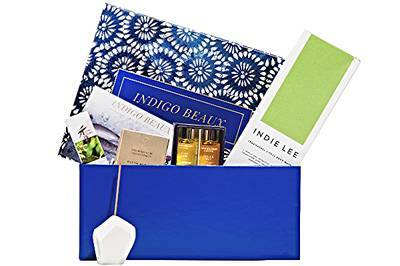 Indulge in a luxurious, beautifying, and refreshing experience with Indigo Beaux. 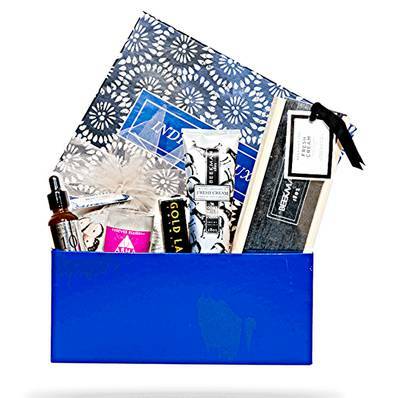 Relax and revitalize with sensuous body, home, and beauty items sent to you every month. Indigo Beaux cares about quality and hand picks only the top products around the world for you. Luxuriate and enjoy every month! 2% of our profit supports the RAINN program. Top natural beauty products like moisturizers, serums, foundations, and goodies for your lips and eyes. Unique relaxation treatments including body scrubs, bath salts, herbal scents, and more. 2% of our profit is donated to the RAINN organization to empower men and women and protect them against sexual violence. Contests and prizes almost every month. I received my first box and i was sooo impressed! Th box and the sizzles were just beautiful! The box arrived arrived so quickly i was very surprised! I received 4 truly quality items and I can use all 4 products thus rating this box very high in my expectations. 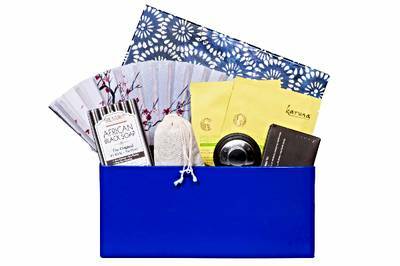 The items include - "lavender Eucalyptus Showermist $33.95/8 oz; Marine Sugar Scrub $19.00/8 oz; The Creamy Glow Duo 428.00/16 oz; Tension Relief Gel 418.00/1.7 oz". i love this box and can hardly wait for the next one! A friend of mine recommended me this subscription beauty box and I absolutely love it. The box is beautiful and luxurious. The candle has an incredible fragrance that envelops my room. Besides the hand cream and the firming serum the Herbal Pillow made of rose, chammomile and lavender herbs and essential oils is a must have.